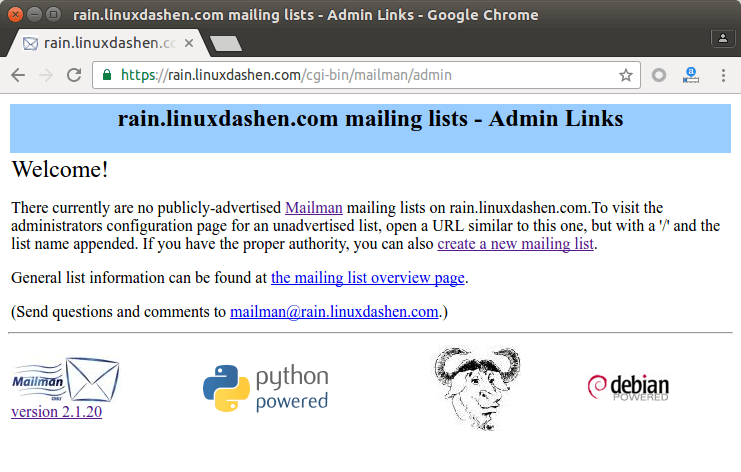 GNU mailman is free and open-source web-based mailing list manager written in Python. It’s commonly used by open-source projects. In this tutorial, we are going to install GNU mailman on Ubuntu 16.04 with Nginx and FastCGI. Mailman only provides a web administration interface. It does not send or receive emails by itself but relies on external SMTP server such as Postfix. 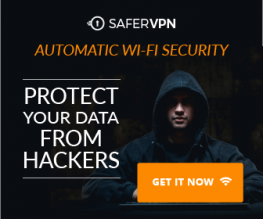 It’s assumed that you already have Postfix properly installed. If not, check out the following tutorial. With that out of the way, let’s get started with installing GNU Mailman. We can install GNU Mailman from repository. During the installation, you will be asked to select languages for Mailman. Use arrow key to move up and down. Use space bar to select your language. A star character indicates the language is selected. After that, it prompts you to create a new list. Hit OK, then run the following command to create the mailman list. Enter the list admin email address and set a password. Then edit /etc/aliases file. Save and close the file. Run the following command to update the alias index file. To properly display the Mailman web interface, we need to install fcgiwrap package which allow us to run CGI applications with FastCGI and Nginx. We need to make sure FCGI and Nginx run as the same user (www-data). Edit the /etc/init.d/fcgiwrap shell script. Find the FCGI_USER and FCGI_GROUP variables. The value should be www-data. If not, change it. After that, restart fcgiwrap service. fcgiwrap service listens on /var/run/fcigwrap.socket by default. To access Mailman from a sub-directory of your existing website, edit the server block file of your website. Put the following lines in the server section. Now you can access Mailman admin page via the following URL and create new mailing lists. I hope this article helped you install GNU Mailman with Nginx on Ubuntu 16.04. As always, if you found this post useful, then subscribe to our free newsletter. You can also follow us on Google+, Twitter or like our Facebook page.